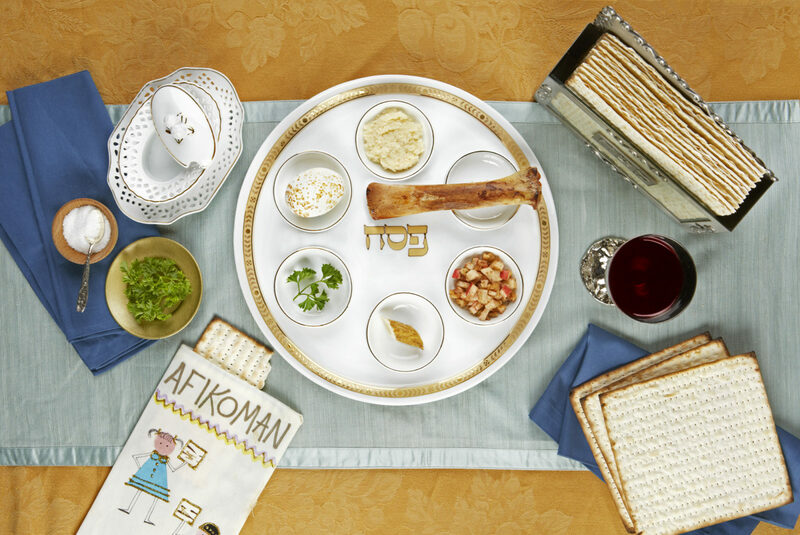 The Seder Plate is the story of Passover on one single plate. 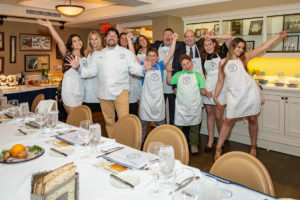 The Seder plate is a most efficient and symbolic way to make sure that the major themes of Passover are never forgotten. 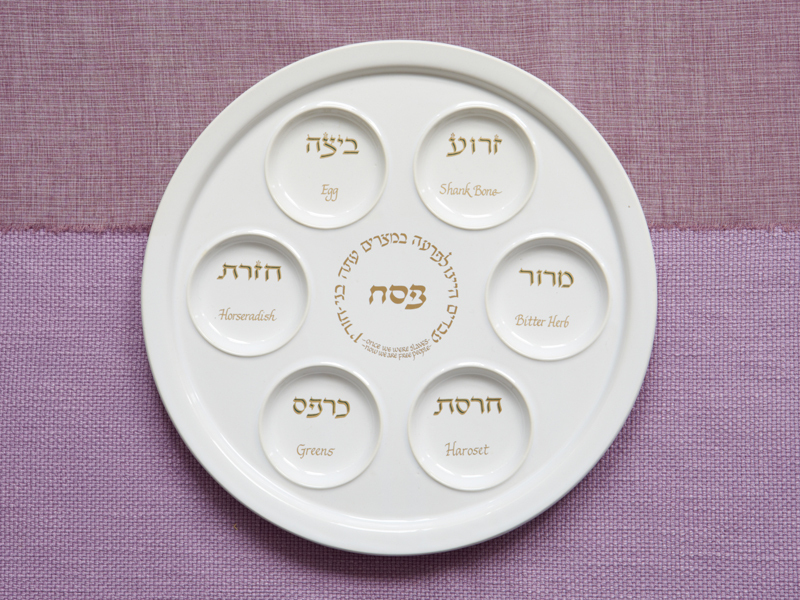 Each element in the plate has a specific role in the story of deliverance, and no Seder table is complete without a Seder Plate. 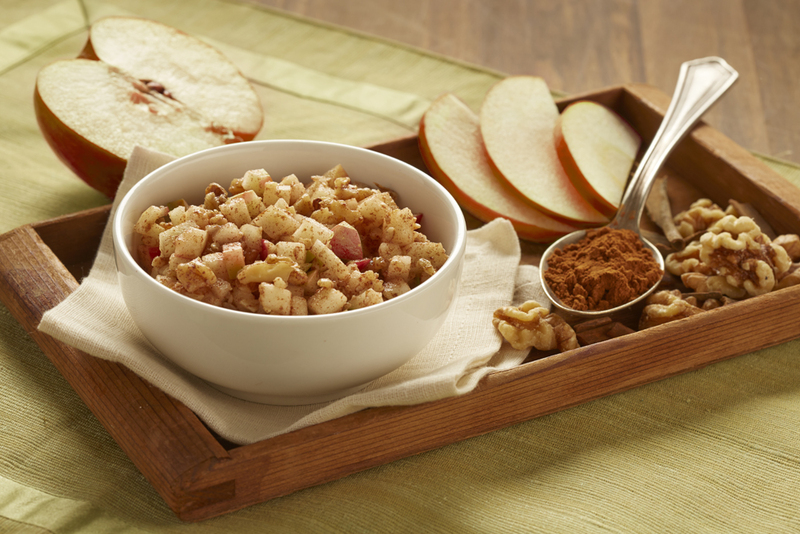 Charoset represents mortar and slavery, recalling the mud that Jewish slaves used to secure the bricks for Pharaoh’s monuments. Charoset is sweet because slavery can be familiar, and we can endure it for a certain period of time. Maror is a bitter tasting herb. The shank bone of a lamb is roasted and placed on the Seder plate. The shank bone is a symbol of the lamb sacrificed the night before the Jews were led out of Israel. The lamb’s blood was placed over the entrance to each Jewish home to protect those who lived inside. 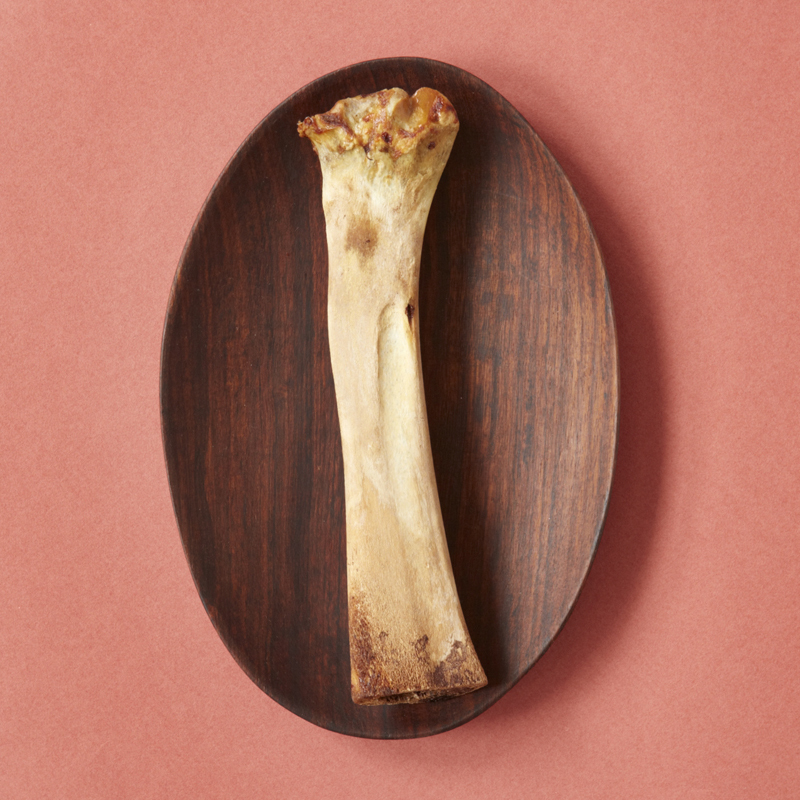 The Shank bone gives meaning to Passover – Pesach – the sacrifice of the lamb, and the signal for the Angel of Death to “pass over” each Jewish home. 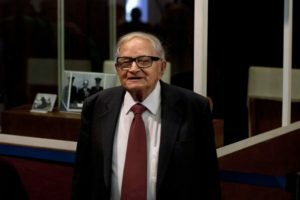 Another way to think about the Shank Bone: If the Jews had not sacrificed the lamb, each firstborn child in each family would have been taken away. When our child is gone, so is the future. One-way to think about the importance of the shank bone: It really is about a sacrifice. There were two sacrifices involved in the Passover story. 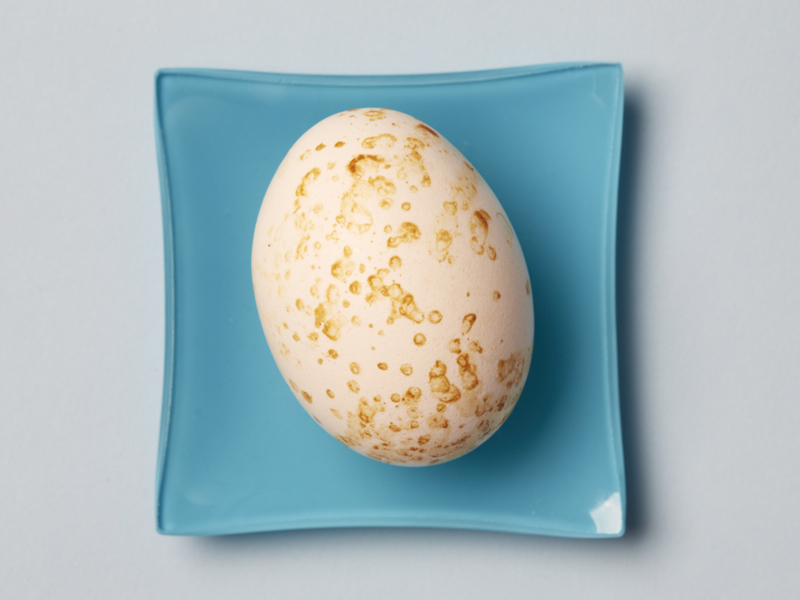 The Israelites sacrificed the Pesach lamb; the Egyptians were compelled by God to give up their own first-born child. 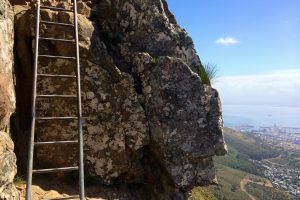 For the Israelites, sacrificing the Pesach lamb and using its blood to mark their doorways, was a defining moment – the moment when they truly identified as the Israelites and not as slaves in Egypt. The fresh herb on the Seder Plate can be any fresh green herb, typically parsley but easily dill or any other fresh taste will do. The fresh herb reminds us of spring, hope, and renewal. Spring is a time of new life and growth. Fresh herbs also remind us that Passover is a spring holiday, celebrated when the world begins to turn green again. 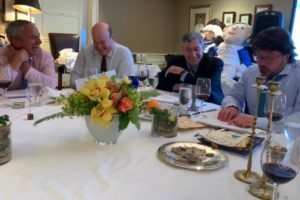 Wherever Jews are living and celebrating the Seder, Passover speaks to the Spring. 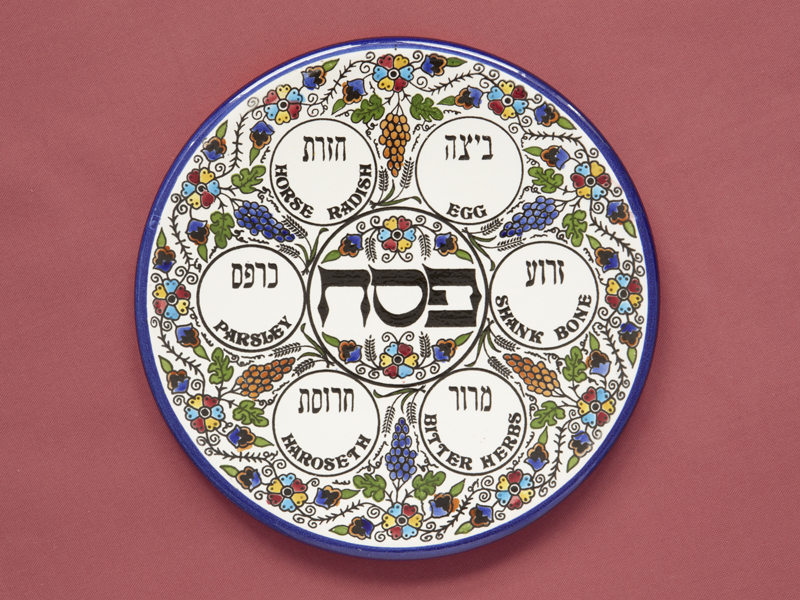 The Seder Plate is the outline of the Passover story. 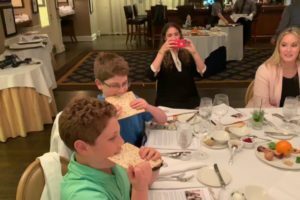 If all you were able to accomplish during a Seder were to discuss and understand the role of each element is included on the Seder Plate, you would truly understand the meaning and message of Passover.